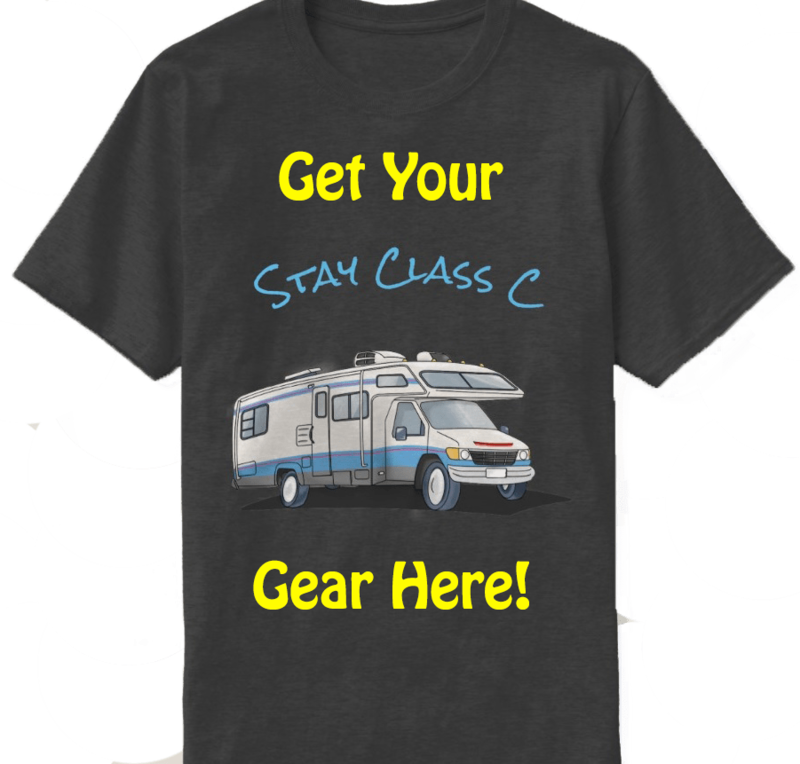 Our fourth and final New England camping show took place this past weekend at the Rhode Island Convention Center in Providence, R.I. We were really excited because the event website promised motor homes of all sizes, including Class A’s. We were also looking forward to using our new Vivitar DVR 787 HD action cam to record all of the action (product review coming soon!). We arrived at the show at about 5:30 PM on Saturday and of course, I had to run back to the car because I forgot my Good Sam card. It was worth the run, though, because we received two admission tickets for half off! Previously, we have been hitting these shows as early as possible but we hoped that by arriving later, there would be fewer people so we could spend more time taking videos. The show entrance was on the second floor and as we entered the hall, all we could see was the usual row of vendor tables and raffles. As we neared the end of the row, something LARGE and white caught the corner of my eye. We quickened our pace and as we turned the left corner, there they were: THE MOTHERLOAD!!! Rows and rows of beautiful, new Class A’s! I was so excited that I didn’t know where to begin. We skipped the first row entirely and headed right for a yellow and white Winnebago Brave at the front of the second row. The retro look of the Brave is really fun and this rig just won the RV Business “RV of the Year” award. We spent a good two hours jumping in and out of every class A on the floor and a few trailers, too. 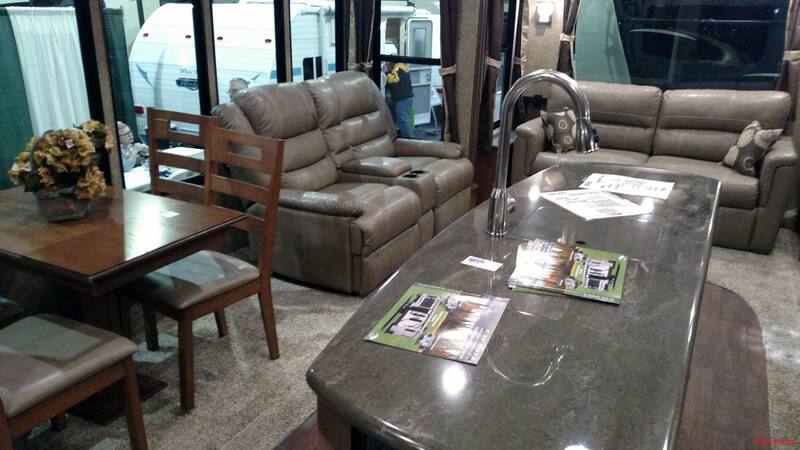 There were so many awesome motor homes at this show…it’s better if we just show you! The 2015 Vegas RUV by Thor Motor Coach gets our “Cutest in Show” vote. 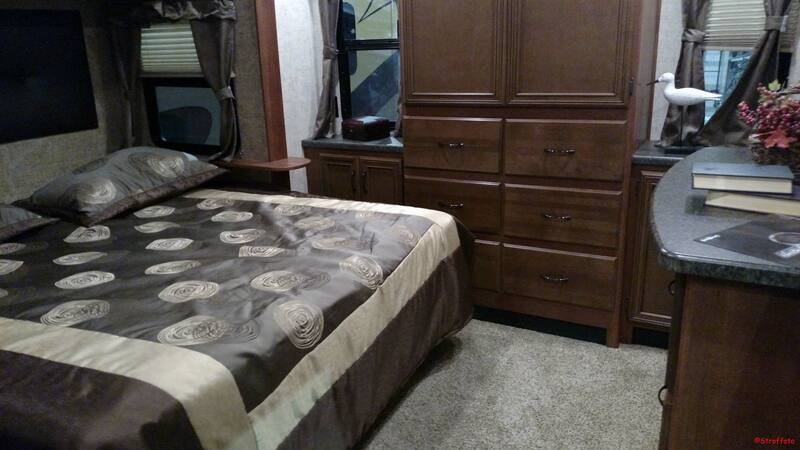 This coach is available in four floor plans with lots of big rig options! 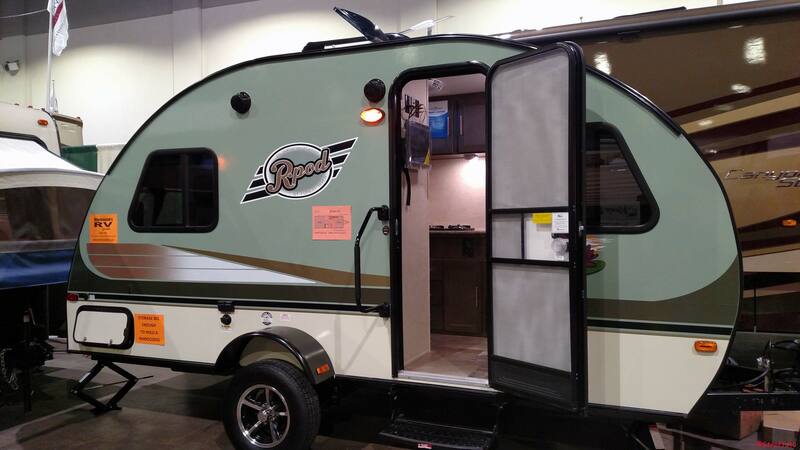 One unit we really liked but didn’t get any video of was the 2015 Surveyor Travel Trailer by Forest River. There were two models on hand but this unit comes with several different options, which are divided as expandables, couple’s coaches, family coaches and fifth wheels. We spoke to a sales person from MacDonald’s RV Center in Plainville, MA, who stated this is one of Forest River’s best selling models. Check them out here! 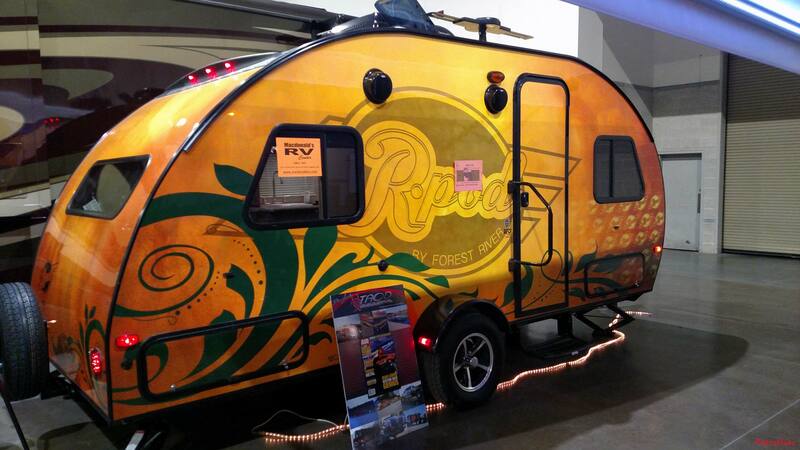 2015 Forest River R-pod Midwest RP-178, custom painted by artist Dean Loucks!